♥♥ "Im a partner in hope with St jude hospital so all my sales. 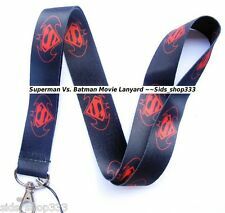 DC Comics Superman Vs. Batman Lanyard. ♥♥ "Im a partner in hope with St jude hospital so all my sales. 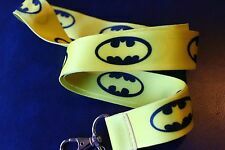 DC Comics Batman Lanyard. ♥♥ "Im a partner in hope with St jude hospital so all my sales. Key chains n collectibles Add 3 to qualify for sale. 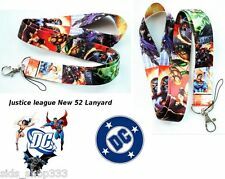 DC Comics Superman Lanyard. ♥♥ "Im a partner in hope with St jude hospital so all my sales. Key chains n collectibles Add 3 to qualify for sale. ✞ I am a christian so whatever i can do to help you i will. 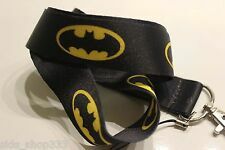 DC comics BATMAN Classic yellow bk Lanyard. 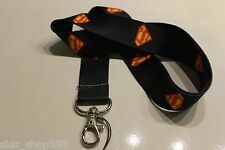 DC comics SUPERMAN Vs. BATMAN Lanyard Neck Strap Keychain ID Badge Holder. 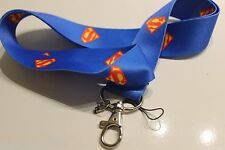 DC Comics Superman Lanyard. Key chains n collectibles Add 3 to qualify for sale. ✞ I am a christian so whatever i can do to help you i will. Deathstroke Emblem. Entire length of key ring is approx. MPN : 45502. Safety Warning: This Product is for Adult Collectors. We provide good quality of products with competitive prices. PLACE YOUR ORDER NOW! We apologize for any inconvenience this may cause. Trending at C $10.11eBay determines this price through a machine-learned model of the product's sale prices within the last 90 days. KEYCHAIN KEY RING. Entire length of key ring is approx. Suicide Squad Deadshot Keychain. High Quality. BATMAN VS SUPERMAN. DAWN OF JUSTICE. Entire length of key ring is approx. DC Comics The Penguin Keychain/Keyring. Character: The Penguin. Made By: Monogram Direct International Inc.
WONDER WOMAN SHIELD LOGO. Entire length of key ring is approx. ★Rubber Key Chain 3 1/2 " wide x 2 " tall. ♥♥ "Im a partner in hope with St jude hospital so all my sales. ask for invoice when done . DC Comics Nightwing Face Keychain/Keyring. Character: Nightwing Face. Made By: Monogram Direct International Inc. Color: Silver. DC Comics Nightwing Logo Keychain/Keyring. Character: Nightwing Logo. Made By: Monogram Direct International Inc.
DC Comics Harley Quinn Keychain/Keyring. Character: Harley Quinn. Made By: Monogram Direct International Inc.
DC Comics The Riddler Keychain/Keyring. Character: The Riddler. Made By: Monogram Direct International Inc.
★Key Chain 2 1/8 " wide x 1 1/2 " tall. ♥♥ "Im a partner in hope with St jude hospital so all my sales. ask for invoice when done . ★Rubber Key Chain 3 1/4 " wide x 2 1/4 " tall. ♥♥ "Im a partner in hope with St jude hospital so all my sales. ask for invoice when done . The LEGO LED Key Light provides just the assistance you need when you are trying to unlock a door in the dark. Press the chest plate for a burst of illumination and be on your way. Requires 2 - CR2025 batteries that are included. T Necklace. Don’t worry! We are always open to suggestions. We are committed for excellence or your money back! We will take care of your issue right away. Key chains n collectibles Add 3 to qualify for sale. ♥♥ "Im a partner in hope with St jude hospital so all my sales.